Take chicken and distribute lemon over breasts then sprinkle paprika on both sides. In hot skillet on medium high cook chicken breast for 10 minutes until golden and juices run clear. 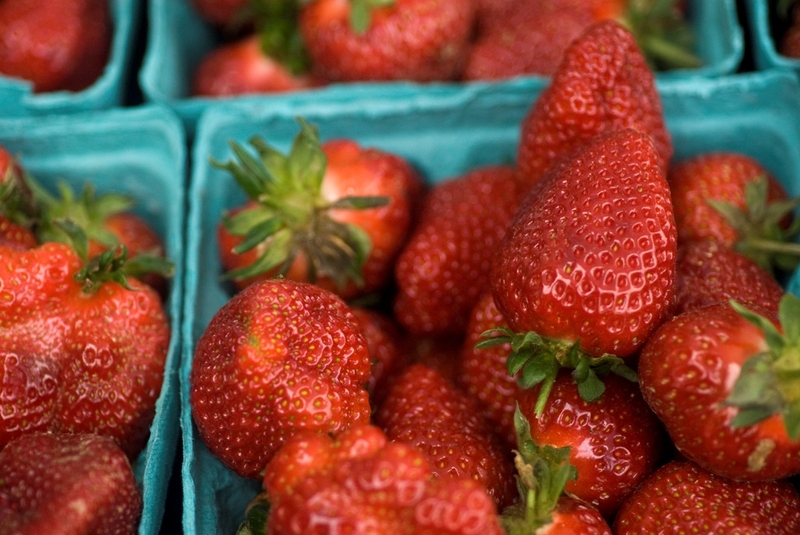 In medium bowl combine strawberries, agave, bell pepper, and cilantro mixing until combined. 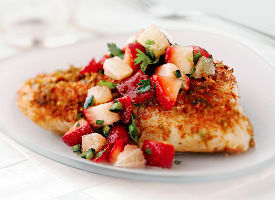 Take chicken breast and top with strawberry mixture.